Home / Event / Lizzie Wann Book Release Party! 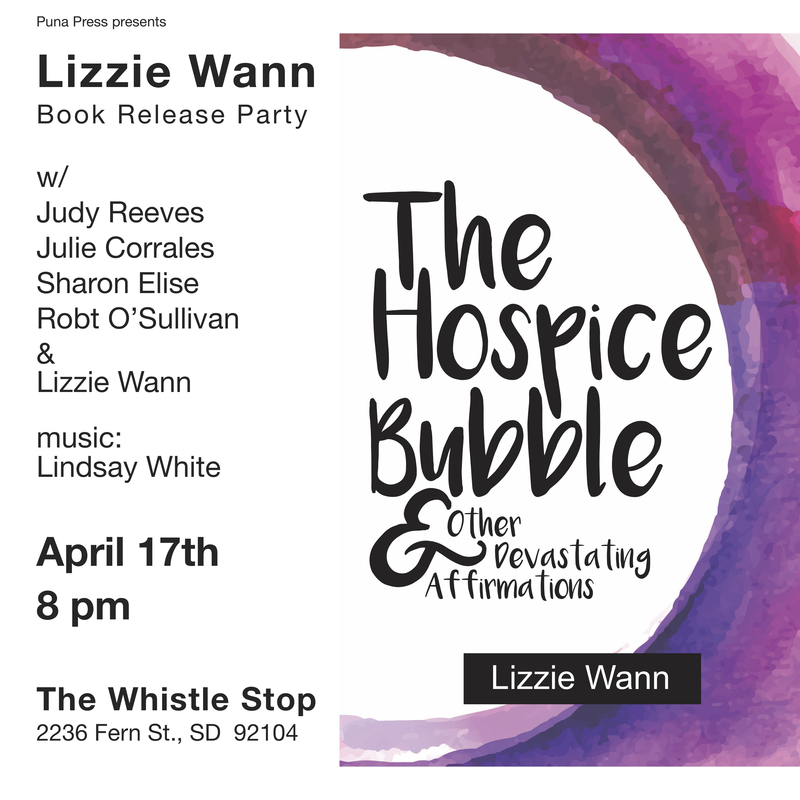 Lizzie Wann celebrates the release of her latest book The Hospice Bubble & Other Devastating Affirmations. She will be reading from the new book and will be joined by the poets and authors Judy Reeves, Julie Corrales, Sharon Elise and Robt O’Sullivan. Lindsay White and her band will provide music to close the show.